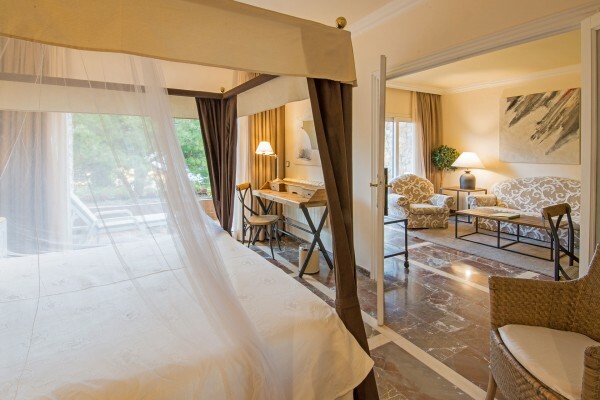 Each room at Hotel Eden Roc is a corner of peace and tranquillity. 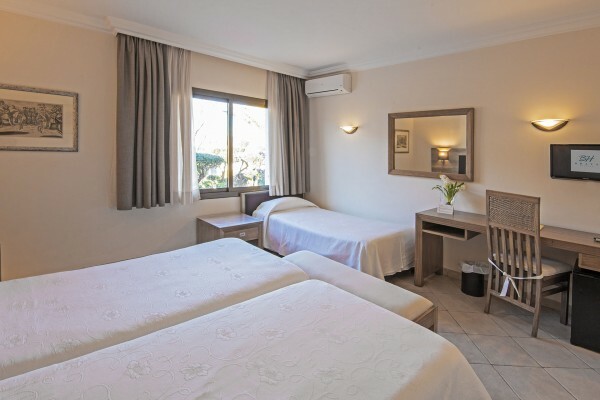 All of the rooms have an en suite bathroom (many with whirlpool bath), satellite television, a fridge, a telephone, climate control and a safe, and most have twin beds. Hotel Eden Roc comprises 4 different buildings for different types of holiday: the Eden Roc building has pleasant rooms for couples and families who have come to enjoy a holiday on the Costa Brava; the Port Salvi building features superior rooms and suites for guests of the Port Salvi health centre; the Garden Eden building has special rooms for people attending spiritual growth seminars and workshops; and the Balcó de Mar building has exclusive rooms with excellent sea views. 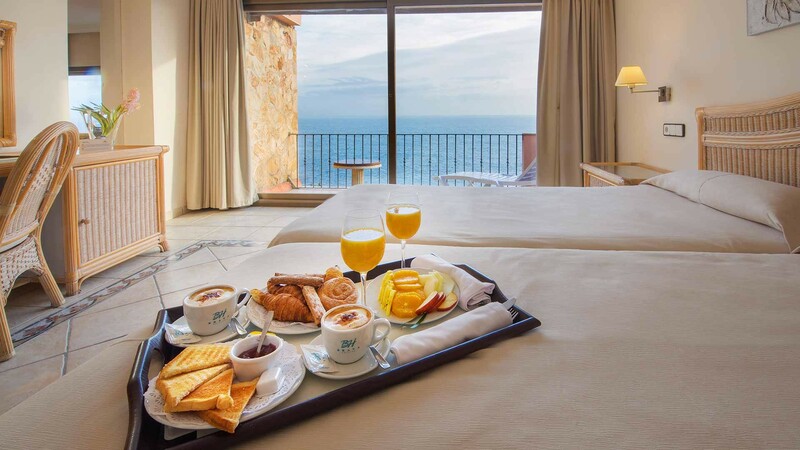 Most of the rooms at Hotel Eden Roc feature the Costa Brava’s finest show: its spectacular sea views. Comfortable, very welcoming and warm rooms with plentiful light. 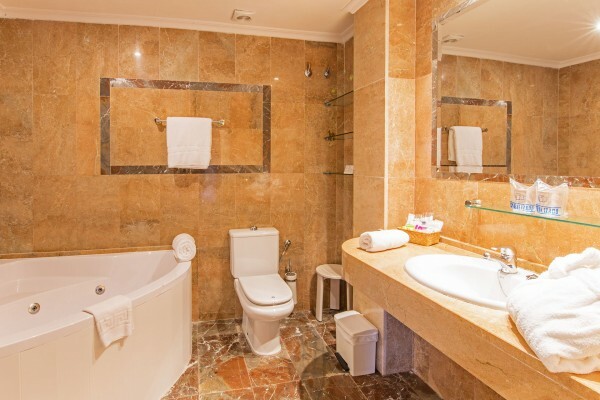 The Hotel Eden Roc’s standard double rooms feature 2 single beds and a spacious fully-equipped bathroom with bath tub. 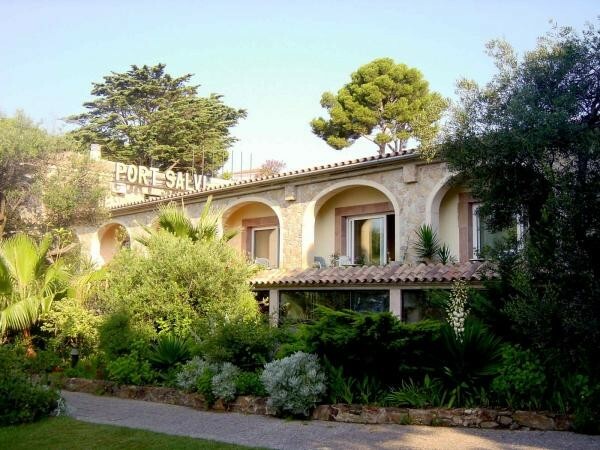 2 single beds | air conditioning | heating | fully-equipped bathroom | hair dryer | safe | fridge | telephone | satellite TV | free Wi-Fi | free access to the Port Salvi spa. 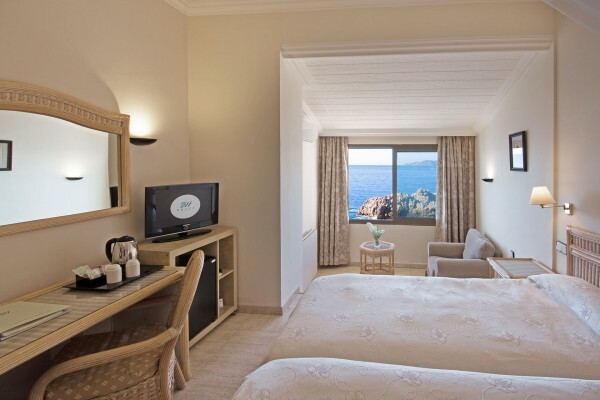 Wake up every day with the best views of the sea, and enjoy the evening on the terrace of your room. 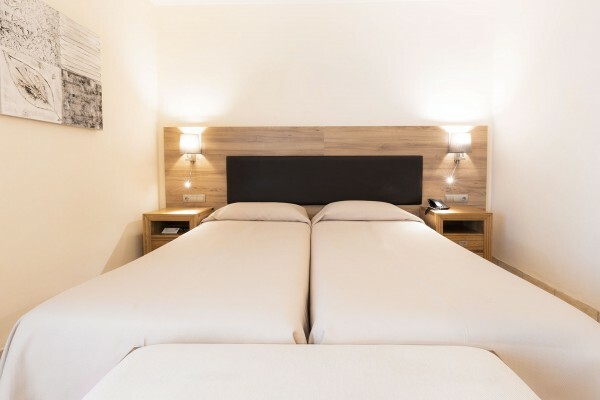 These rooms are very spacious, have lots of light and are comfortable, and they have all of the services you need to enjoy your break with your partner at the Hotel Eden Roc. 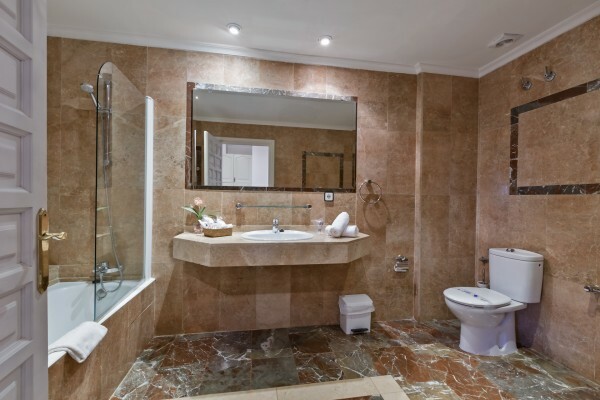 They also feature a very spacious bathroom, with a whirlpool bath in most of them. 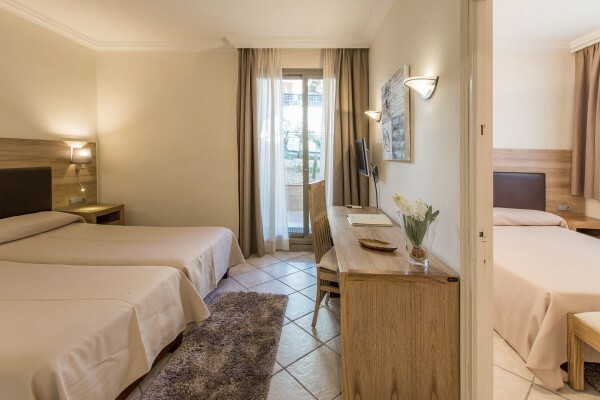 2 single beds | air conditioning | heating | terrace with sea views | fully-equipped bathroom (most with whirlpool bath) | hair dryer | safe | fridge | telephone | satellite TV | free Wi-Fi | free access to the Port Salvi spa. Designed exclusively for families or groups of friends, the standard triple rooms at the Hotel Eden Roc have 3 single beds. These rooms are welcoming and have plentiful light, and are divided into two large spaces that are ideal for you to enjoy relaxing in peace. 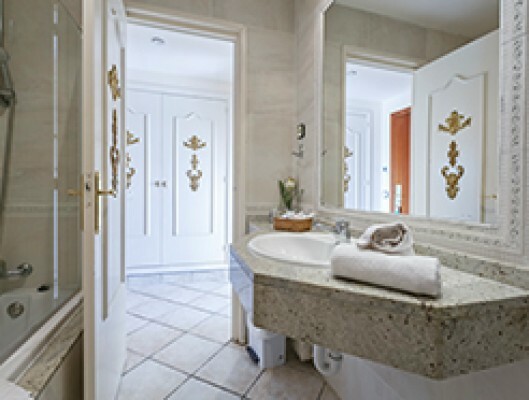 They feature a balcony or terrace with views of the hotel garden, and a fully-equipped bathroom with a shower or whirlpool bath. 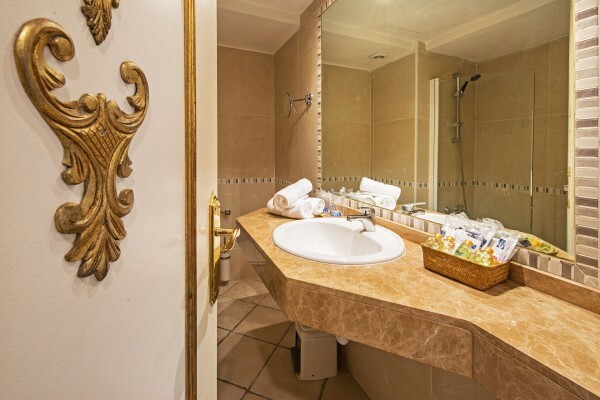 3 single beds | air conditioning | heating | balcony or window | fully-equipped bathroom with shower or whirlpool bath | hair dryer | safe | fridge | telephone | satellite TV | free Wi-Fi | free access to the Port Salvi spa. 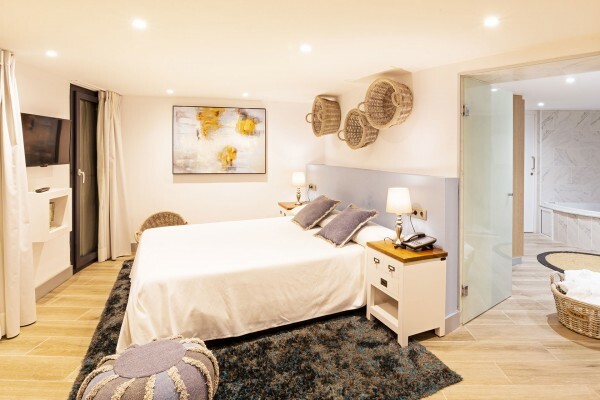 The superior triple rooms are large rooms, designed so that all of their occupants can enjoy their space during their stay at the Hotel Eden Roc. 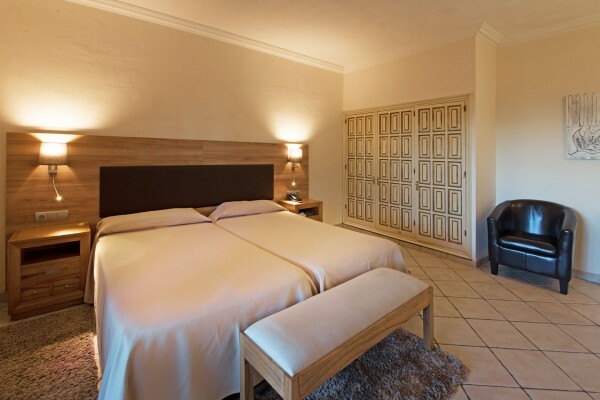 These rooms comprise 2 bedrooms (1 double and 1 single) and 1 fully-equipped bathroom. 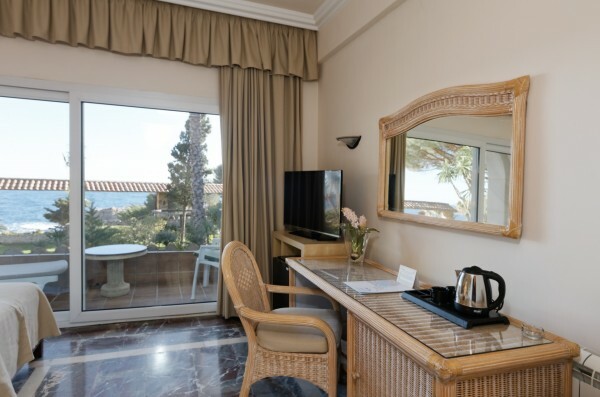 The superior triple rooms boast a spectacular terrace with unbeatable sea views of the Costa Brava. 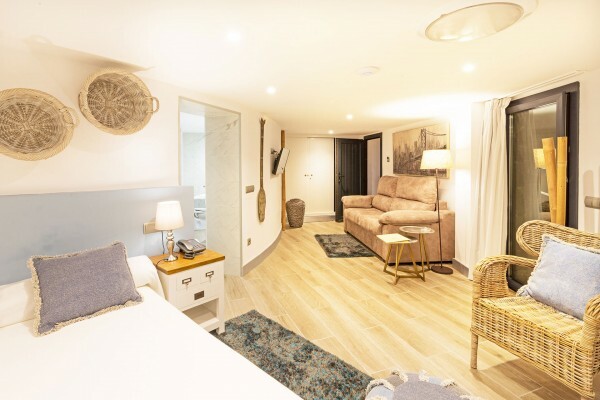 3 single beds | air conditioning | heating | terrace with sea views | fully-equipped bathroom (most with whirlpool bath) | hair dryer | safe | fridge | telephone | satellite TV | free Wi-Fi | free access to the Port Salvi spa. 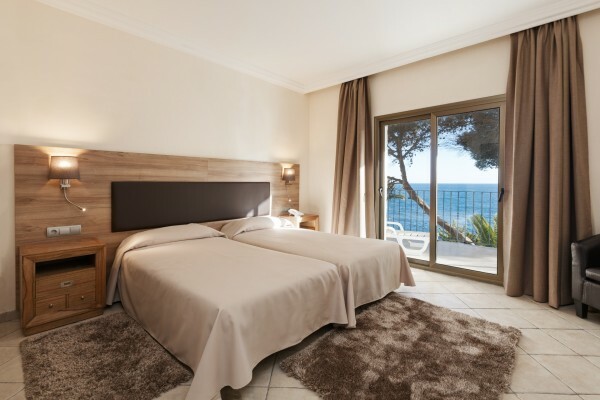 The Hotel Eden Roc has very large family rooms, designed so that all members of the family, or of the group of friends, can have a private space while sharing the same room. 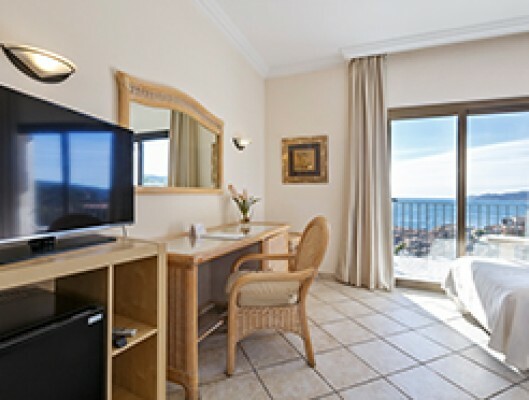 These rooms comprise 2 double bedrooms and 1 fully-equipped bathroom with shower or whirlpool bath. 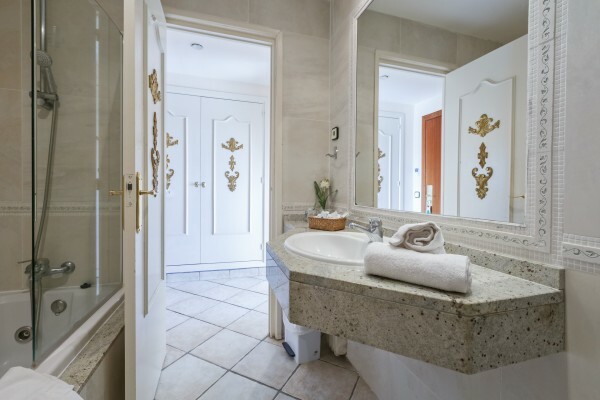 4 single beds | air conditioning | heating | fully-equipped bathroom with shower or whirlpool bath | hair dryer | safe | fridge | telephone | satellite TV | free Wi-Fi | free access to the Port Salvi spa. 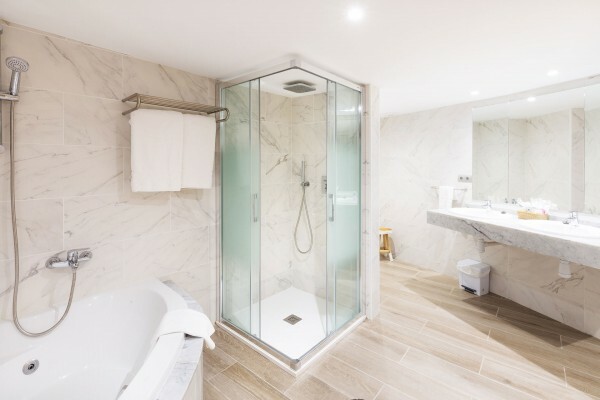 The Hotel Eden Roc’s superior family rooms comprise 2 double rooms and 1 fully-equipped bathroom. They are very spacious rooms so that the whole family feels at home, each member having their own bedroom while sharing the same space. 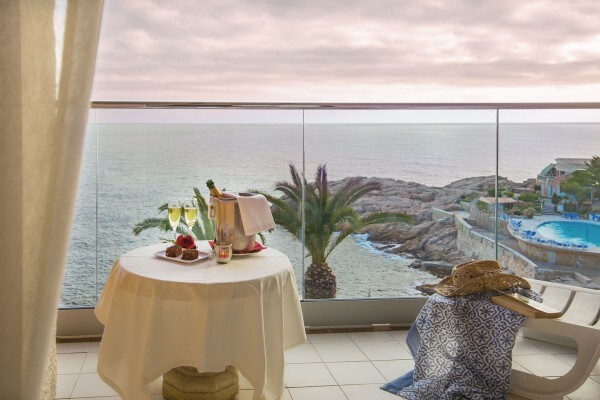 These rooms enjoy magnificent terraces with fabulous sea views where you can spend the afternoons in good company. 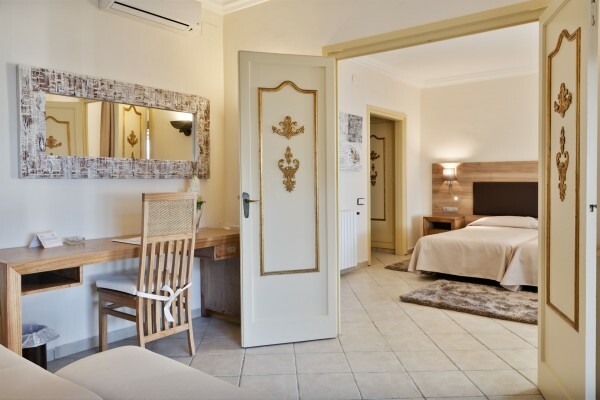 4 single beds | air conditioning | heating | terrace with sea views | fully-equipped bathroom (most with whirlpool bath) | hair dryer | safe | fridge | telephone | satellite TV | free Wi-Fi | free access to the Port Salvi spa. 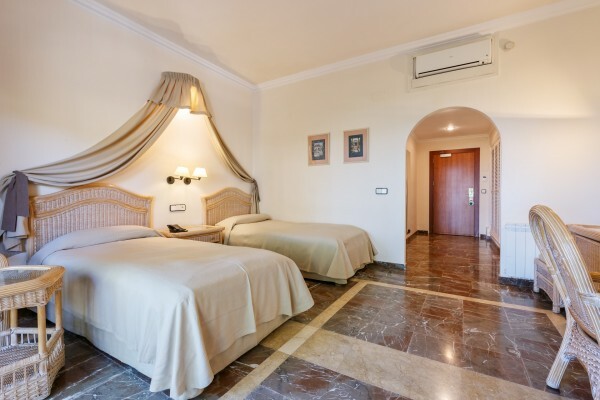 Sharing a building with the Port Salvi spa, the Port Salvi superior double rooms are ideal for a health and wellness break. 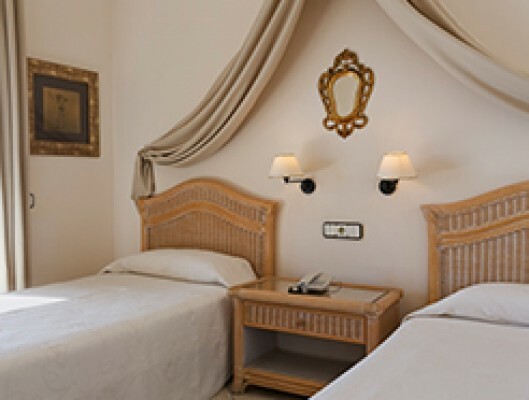 The rooms transmit a felling of peace and tranquillity. They are very large and comfortable and have large terraces with relaxing views of the hotel’s tropical garden. 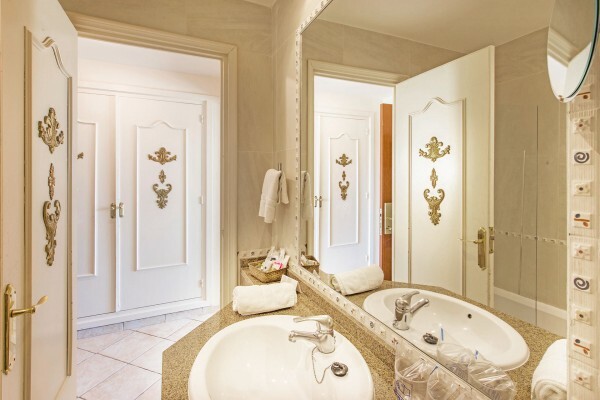 With marble floors and bathrooms, the superior double rooms at Port Salvi are refined and in the best of taste. 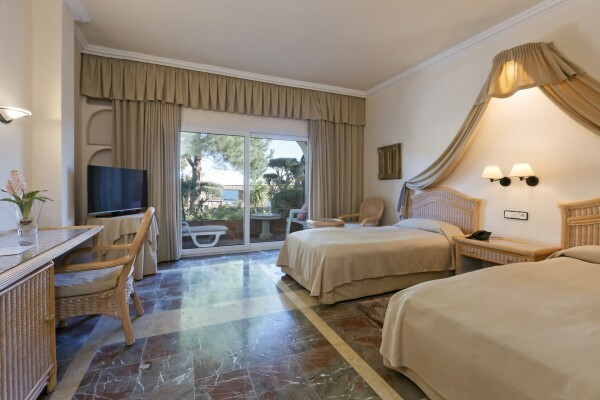 Stay in one of our Port Salvi rooms and enjoy the spa and our health and beauty treatments from a special location. 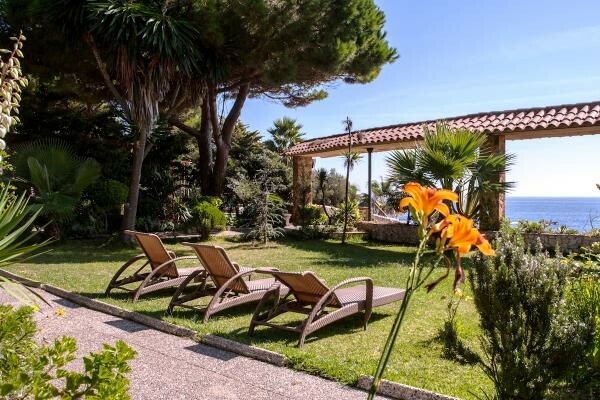 2 single beds | air conditioning | heating | terrace with garden views | fully-equipped bathroom (most with whirlpool bath) | hair dryer | safe | fridge | telephone | satellite TV | free Wi-Fi | free access to the Port Salvi spa. 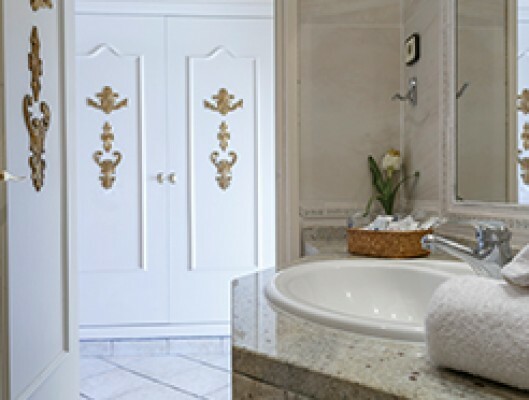 The suite rooms at Port Salvi are luxury rooms in the same building as the spa and health centre. These spacious rooms exclusively have a welcoming living room, a kitchen and a large double bed. 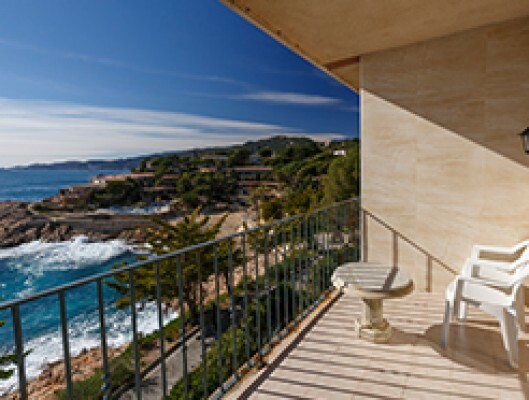 The terrace, with views of the garden, is ideal for enjoying the best moments of rest and the curative sun of the Costa Brava in private. 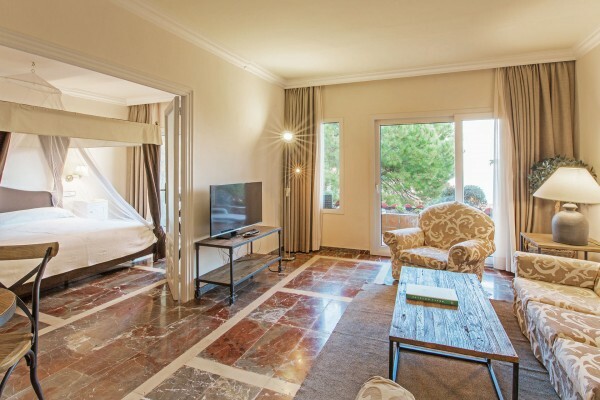 The suites are romantic and welcoming rooms, ideal for a break as a couple where you can make the most of the Hotel Eden Roc’s Port Salvi spa. 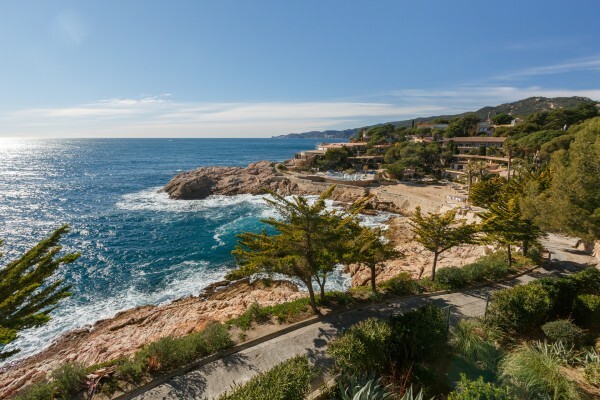 1 double bed | air conditioning | heating | terrace with views of the garden and sea | living room | kitchen | fully-equipped bathroom with whirlpool bath | hair dryer | safe | fridge | telephone | satellite TV | free Wi-Fi | free access to the Port Salvi spa.